Beyoncé and Jay Z stepped out in Los Angeles on Saturday to attend Roc Nation's The Brunch. As usual, the Carters looked nothing short of iconic as they arrived at the event together. 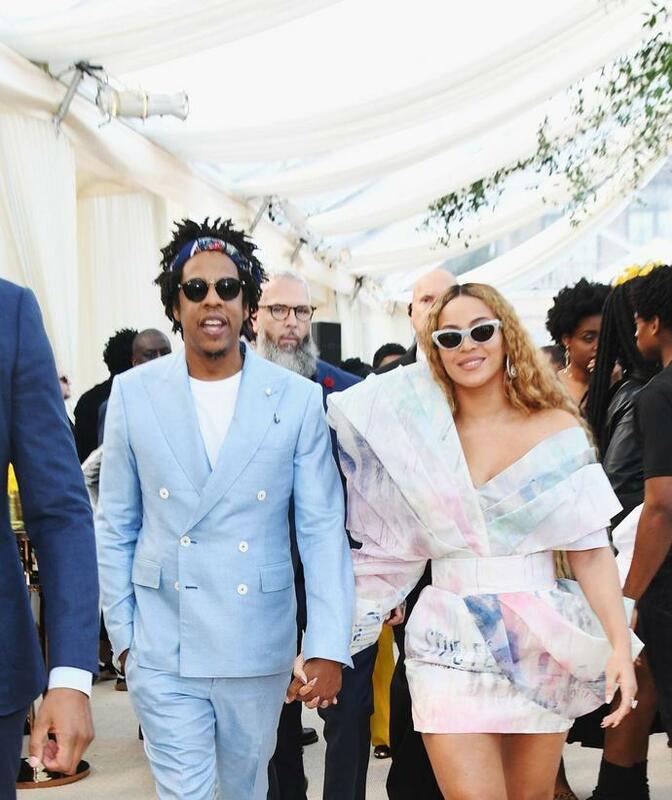 Looking chic in matching pastel outfits, Beyoncé and Jay Z mingled with celebrity guests like Kevin Hart, Diddy, Joe Jonas, Sophie Turner, and Usher at the event, per E! News. Beyoncé also shared several photos of her look on Instagram, in which she could be seen having a lot of fun with the architectural dimensions of her dress and its asymmetrical sleeves. Her photos also revealed that the heel of her shoes were shaped as the letter B, which is pretty incredible. While it's currently unclear whether Beyoncé and Jay Z will be putting in an appearance at the Grammys, the couple is nominated for three awards this year, including Best Music Video, Best R&B Performance, and Best Urban Contemporary Album for Everything Is Love. Beyonce Had Pre-Eclampsia. Doctors Have New Ways to Detect and Treat It. Beyoncé Had Preeclampsia While Pregnant with Twins - How Serious (and Common) Is the Condition? Beyonce Had Preeclampsia While Pregnant - How Common Is It? "Fenty Skin" Was Officially Registered as a Trademark - Is Rihanna Going to Launch Skin Care Soon?